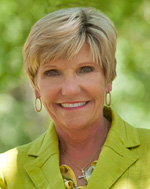 Join GFW PRSA Master’s SIG for a conversation with Mayor Betsy Price! This very special event will give Masters a behind-the-scenes look at the City’s communications program and provide the opportunity to participate in an intimate discussion with Mayor Price and Chief of Staff, Jason Lamers, on the City’s public engagement strategies. Continental breakfast will be served. For more information, contact Nancy Farrar at nancy@farrarpr.com or 817-937-1557. After decades of defective, misleading and inappropriate methodology, the public relations profession has awakened to the need for an objective means of measuring program performance. While better approaches are being tested and are expected to be adopted, we must be prepared to move from the AVEs of the dark ages to these emerging approaches. At our May meeting, Blake Lewis, APR, Fellow PRSA and national PRSA secretary will be presenting a program entitled “Pragmatic Measurement,” describing what you can be doing today to better measure the performance of your public relations strategies and programming. Wednesday, May 7 • 11:30 a.m. to 1 p.m.
Blake Lewis is an accomplished communicator, with 35 years of experience in corporate reputation and issues management, crisis communications, media relations, technology communications, and association governance in corporate, agency and non-profit settings. During his career, Blake’s professional engagements have included development of strategies and tactics for a number of the nation’s leading businesses and organizations, including ALON USA, AT&T, Burger King, EDS, Greyhound, NEC, Texas Beef Council and Texas Farm Bureau. Before forming his agency in 2000, Blake worked for EDS – now, H-P – in Plano, Texas, where he led formation of the first communications team for the company’s $2 billion electronic commerce line-of-business. Prior to joining EDS, Blake was senior vice president and deputy general manager of the Dallas office of Edelman Public Relations Worldwide. Previously, he held positions of increasing responsibility in healthcare, food service and agency settings. A graduate of Iowa State University, Blake is recipient of a Texas Public Relations Association Silver Spur award for work defending ICI Explosives in litigation that resulted from the bombing of the Murrah Federal building in Oklahoma City, a recipient of two PRSA Dallas Pegasus Awards and several other communicator awards, including a Telly. He has served at all levels within the Public Relations Society of America, currently serving on the PRSA national board as treasurer and overseeing the national audit, finance and investment committees. Accredited in 1985, Blake was selected for membership in the PRSA College of Fellows in 2005. At the GFW PRSA Luncheon on April 9, Andra Bennett, APR shared a quick song promoting PR accreditation with the Greater Fort Worth Chapter of PRSA, celebrating the 50th anniversary of the APR. Please see below for the lyrics and the YouTube video. I’ve got you – proving I know P.R. those 3 little letters known as the A.P.R. I’ve got you – after my name! I want you … after my name. Use your mentality, step up! And my colleagues would stop nagging me…. Go ahead and flaunt it…. You deserve the fame. 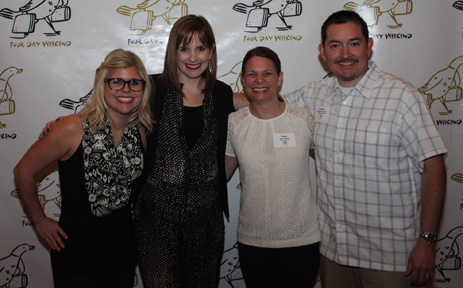 Our PRSA chapter recently held a joint program with our friends at AAF Fort Worth and Social Media Club Fort Worth to host author / speaker Jackie Huba for a fun evening at Four Day Weekend Theater. This night on the town took well over four months to coordinate, as the organizations’ presidents met and e-mailed each other to work out details. The groups share a few members, and we all recognized an opportunity to join forces on the March 27 event to meet our common desire to provide quality programming. 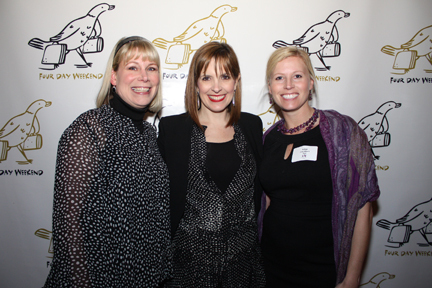 We had a great time, too, as you can see by the photos on our Facebook page. One day before, March 26, the Ft. Worth Star-Telegram and WFAA-TV announced their own partnership. A content sharing partnership. Both of these partnerships, our three organizations and the two local news outlets, caught some people by surprise. They took planning. They took not being afraid to fail. Hopefully when we look back, they will have provided positive outcomes. But if it was a fail, let us fail forward with intelligence gained. My point is, I believe we are stronger together than we are separate. Unlikely mass communication compatriots can (should?) occasionally work together for the greater good. It might be one of the things that keeps us all afloat. Corey Lark (SMCFW president), Jackie Huba, Rene Murphy (AAF FW president), and me. An exuberant crowd of communicators was wowed Thursday night, March 27, by Jacki Huba, author of “Monster Loyalty” about Lady Gaga’s huge success with social media.